We all are fascinated by precious and semi-precious gemstones. In astrology, gemstones were used as a remedy for malefic effects of planets. Gemstones also make its statement in the fashion world. These are protecting us from the effectiveness of planets. Stone should be worn under the instruction of an expert astrologer. Which gemstones are incompatible should not be worn together. 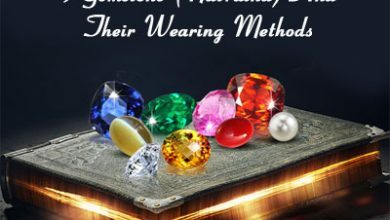 Here I am sharing some gemstone along with their incompatible stone also known as Conflicting Gemstones which should not be worn together unless they give you bad results. Blue Sapphire Gemstone is mostly known as Neelam Stone as per Vedic astrology. According to the Vedic astrology, planet Saturn (Lord Shani) rules over the blue sapphire gemstone. Saturn is the sixth planet from the Sun and the second-largest in the Solar System. Its Enemy planets are Sun, Moon, and Mars. Planet of Sun, Moon, and Mars rules over the Ruby, Pearl, and Red Coral gemstones. So that doesn’t wear Blue sapphire stone with Pearl, Ruby and Red Coral because of enemy planets. If one should wear blue sapphire with ruby, pearl or red coral it might be harmful to people who wear it. Conflicting Gemstones of Blue Sapphire: Ruby gemstone, Pearl gemstone, and Red Coral gemstone. Every gemstone has its planet which is associated with it. Ruby gemstone also has planet Sun. The Sun rules over the ruby gemstone. Sun is the star at the center of the Solar System. Enemies of planet Sun are Venus and Saturn. Planet of Venus and Saturn rules over the diamond and Blue Sapphire. So that doesn’t wear Ruby gemstone with Diamonds and Blue sapphire unless it will give bad results to its wearer. Conflicting Gemstones of Ruby Gemstones: Diamonds, Blue sapphire gemstone. 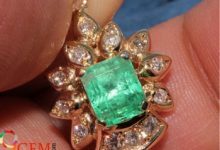 Emerald gemstone compares to the planet Mercury, which is a promising planet wear this stone to get favor with affection, insight and great well-being. So, the enemies of Mercury are Moon and Jupiter and its stones are Pearl and Yellow Sapphire. If someone wears emerald with pearl and yellow sapphire, it will give hopeless results rather than benefits. Conflicting Gemstones of Emerald Gemstones: Pearl gemstone, Yellow sapphire. 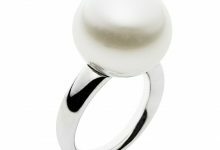 Pearl gemstone is highly beneficial for a calm mind and peace, but pearl has also its incompatible gemstones. The Moon is the planet of Pearl gemstone. Enemies of the Moon are Rahu and Ketu and its stone are Hessonite (garnet), Cat’s Eye gemstone. If one is wearing pearl stone, he should not wear Hessonite or Cat’s Eye. Conflicting Gemstones of Pearl Gemstone: Hessonite gemstone, Cat’s Eye Gemstones. Red coral stone is very helpful for Manglik dosha person. Mars rules over the Coral Gemstone. Coral is very beneficial to nullify the ill-effects of Mars. The enemies of Mars are Mercury, Ketu and Rahu and their stones are Emerald, Cat’s Eye and Garnet. Conflicting Gemstones of Coral Gemstone: Emerald gemstone, Cat’s Eye and Garnet. In Vedic astrology, Jupiter rules over the Yellow Sapphire gemstone. 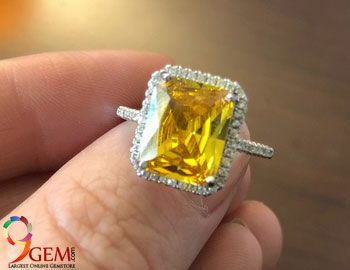 The enemy of a yellow sapphire gemstone is Mercury and Venus which are Emerald, Diamond. Don’t wear Yellow Sapphire with emerald, diamond because its planets are enemies. Diamond is the favorite gemstone or the best friend of every girl. But Diamond has also it’s enemy planets which should not be worn with diamond. Planet Venus rules over the Diamond. Its enemy planets are the Sun, Moon, and Jupiter. Diamond should not be worn with Ruby, Pearl and Yellow Sapphire rather it will give the malefic result to the wearer. Conflicting Gemstones of Diamond: Ruby Gemstone, Pearl Gemstone, Yellow Sapphire. Rahu is a very powerful Planet. Rahu rules over the Hessonite gemstone. This gemstone is very helpful to enhance the positive powers of Rahu in your life, but planet Rahu has also its some enemy planets which are Sun, Venus and Mars. The stones of the these planets are Ruby, Diamond and Red Coral. Rahu planet is discomfort with these planets so don’t wear these stones with garnet. Same as the Rahu, Planet Ketu is also very powerful and fast acting gemstone. The enemies of planet Ketu are Mars and Moon and their stones are Red Coral and Pearl. Conflicting Gemstones of Cats Eye Gemstone: Red Coral, Pearl Gemstone. Always wear gemstones before consulting an expert astrologer and according to your birth chart. Apply correct rituals of wearing while you are wearing a gemstone. Hi, I’m Sachin from Mumbai. I wish to know if I can wear a Tiger Eye & Emerald together ??? My name is Naveed. I am wearing blue sapphire in my right hand middle finger. my birth date is 11.01.1983. please tell which other stone can i wear with blue saphhire. 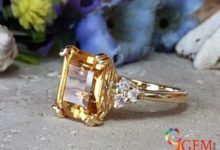 Can I wear citrine will it cause any problems ?? If yes then what is the procedure ? Please consult with an astrologer before wearing any astrological gemstone. If you want gem recommendation services from 9gem.com then you can send your query to support@9gem.com. Gem recommendations are done by the third party astrologers and services are paid. Can you wear tigers eye and cat eye at the same time, also amethyst? One can wear astrological gems after astrological considerations. Please consult with expert astrologer for more information about which stone suits you as per your horoscope. Can I wear gomed and cat eye together, if so in which finger I should wear them. Please consult with expert astrologer. Stones are always recommended after studding birthchart. Hi, can we wear Ruby/Yelow Sapphire/Red Coral in combination. Can we wear all this three combinations gems in a single ring. Please consult with expert astrologer. Stones are always recommended after studding birth-chart. My astrologer recommended me wearing Cat eye (in left little finger), Ruby (in ring finger of left hand ) along with blue Sapphire on left hand’s middle finger. Also, a red coral in my right hand’s ring finger. Ever since I wore them, I have witnessed that they are disturbing me. I am here just to consult whether this combination is correct or I should get it changed. Please advice. I think you need to consult with expert astrologer for this. Sometime stones are not compatible to each other because of the position of your planets in birthchart. 1 Astrologer has advised me to wear emerald with white pearl and the other one has advised me wear yellow pearl. 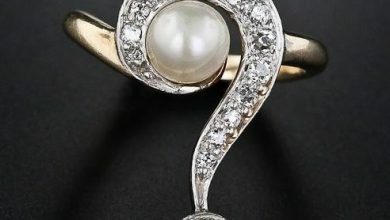 I am bit confused on this as in many places i have read that emerad and and pearls are not worn together. Yes, please go through the article to check the compatibility of the stone. 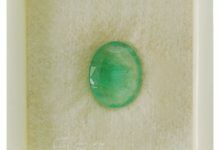 If you want to buy emerald stone you can check our stones at http://www.9gem.com. Take expert advise before wearing any gemstone. 1 Astrologer has advised me to wear emerald and white pearl and the other one has advised me wear yellow pearl. Wearing red coral and pearl and pitpokhraj …But unable to decide the fingers..My index and ring finger of right hand is occupied by pitpokhraj and coral..Now for pearl..Which finger will be beneficial…Can i wear it in left hand index finger.. Please wear each stone as per the finger for the stone. Otherwise it will delay the positive effects of the stone. Please consult with your astrologer for further information. I am wearing cats eye, plz suggest solutions with cats eye what other jem I can wear, as I want to go abroad for job…..
Sonia, you need to consult with astrologer for the same. Astrologer will let you know about the possibility of going abroad for study or job. After reading your birth chart astrologer can suggest you about the stone as well. We are providing gem recommendations services from expert astrologers but services are paid. Please contact at support@9gem.com if you want services from our astrologers. I am wearing amethyst bracelet, tiger eye, moonstone and earlier was also wearing carnelian but around 20days back removed carnelian. I am also wearing emerald ring since 4-5yrs, does any stone is incompatible. Please tell. Please check the blog for your query. Sir, can amethyst (in right middle finger) and red coral (as pendant in neck) be worn together. Pls give your expert advise. 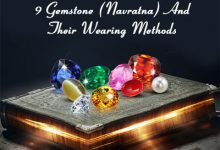 If you are going to wear gemstones for astrology gain, please take helpful suggestion from expert astrologer. As we are Gemologists, can only help in gem buying as per your recommendations. can I were neelam, panna and gomed together….. If yes then how? As neelam and gomed both were in same middle finger….. Please take help from your astrologer. He will guide you in better way. Our gem recommendation services are paid. Yes you can. It is recommended to get the expert consultations from astrologer before wearing stone for astrology. Let me know about the astrologer who suggested you these stones. He might be new in the astrology. Please consult with expert astrologers. Hi my name is himanshu. Dob 13-11-84 time 1:25Am birth place allahabad. i am wearing opal in right hand ring finger. 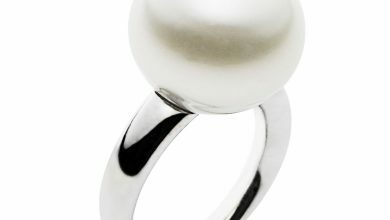 I am very restless by mind and high pitta.Can i wear pearl with opal for calm and peace in mind.? Please consult with the astrologer first. He can guide you in proper way after checking your birth chart. For astrological gains you always need to consult with astrologer for gem recommendations. Sir, plz. Suggest which stone is best suitable for me. I have lot of career related problems Nd financial issues. Getting no job as per qualification. Thanks for the query. First you need to get the gem recommendations from expert astrologer by checking your birth chart. My suggestion to you is that please consult with the local astrologer about the gem that suits as per your readings. Then visit our store for the gemstone buying options. We will help you to select the best stone as per the recommendations. We are Gemologists and will not be able to help you in astrological gem recommendations. We do that with the help of third party expert astrologers but the services are not free. If you want to get the gem recommendations from our astrologers please let us know at support@9gem.com. Can we wear hessonite and emerald. Im from Aries with scorpio ascendent. Please suggest.. I am wearing Yellow Sapphire in index finger and Pearl in little finger. Can I wear Diamond, Opal or Zircon if Yes then in which finger? 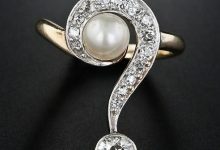 For wearing, please check the blog post https://www.9gem.com/blog/incompatible-gemstones/ and if you are looking stone for astrology, please consult with the astrologer. Yes, You can wear both the stone together. It is always advised to wear any stone for astrology after expert consultations..
Opal and White Zircon acts as Diamond & Venus substitute Gemstone. It is recommended to consult with expert astrologer before wearing any gemstones. Yes we can help you in that…Please let us know about the stone…only then we can help you. i am intriqued by blue sapphire, also can blue be worn with konerupin cats eye? Please check the blog for more details about the compatibility of the stone. Please take advice from expert astrologer if you are going to wear blue sapphire for astrology gain. Can one wear cat eye and gomed in same hand ? Which finger for cat eye, which for gomed ? Please check the “blog posts” on the blog. Please search blog post using “search button” on the blog. Hi my husband is wearing Neelam in middle finger of right hand,but because he is having Chandra mahadasha,pandit has asked to wear a pearl too.so he is wearing both in right hand but in different fingers.is it harmful for him?? ?pls advice. Thanks for the query…First let me clear…the points given in the blog are written on general basis. 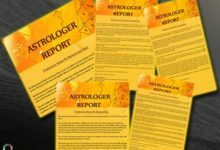 One must consult with expert astrologer for the astrology point of view as per his/her birth chart. In your case astrologer must have checked and analysed the birth chart of your husband before giving him any advise to wear gemstones. Also buy natural and certified gemstones only otherwise that’s not going to help him anyway. Request you to please suggest can i wear Gomedh and Moonga together. Please check the blog properly for the answer. Please take advise from expert astrologer. Blogs are written on the basis of general information. Can I wear Amethyst & Gomeda (Hessonite Garnet, Sri Lankan) together in middle finger of my right hand? Can I weare Amethyst and Gomeda (Hessonite Garnet) together? Please check the blog properly, everything is given. I am already wearing ruby ring can i also wear emerald ring coz earlier i used to wear emerald pendant but after 5 years i discarded it. Then i was suggested to wear ruby ring. Pls can you tell me is it ok to wear emerald with ruby? information about incompatible stone is given in the blog. If you need more help please send a mail to support@9gem.com wit your query. Please send your query to support@9gem.com for more detailed analysis of your birthchart readings. Only expert astrologer can guide you in this. I am wearing yellow sapphire in index finger along with that amethyst in middle finger and emerald in baby finger. Could you please suggest if this is fine ? Please consult astrologer. As he can guide you in better way. You can also take our gem recommendation services by mailing your details at support@9gem.com. Gem recommendation services are paid and done by third party astrologer. That depends upon your birthchart readings. Please contact us at support@9gem.com and ask your query to our experts. I am wearing red coral in my left ring finger alongwith that I am wearing ruby, pearl and yellow sapphire in right hand. Is this combination correct or it has any negative impact?? Please read the blog carefully. Everything is given in details. Should I wear yellow sapphire with hessonite and cats eye?? Please check the blog for more details, you will be able to find the answer of your query. I am already wearing yellow sapphire in fist finger but i have been told to wear Hessonite for Rahu problem in middle finger bcoz of divorce problem & also to wear Emerald for financial prosperity in last little finger. Hope all these three gems will not have negative effects on me. Enemy of yellow sapphire are Emerald, Diamond, and blue sapphire. So, please consult with the expert astrologer before wearing any stone. Can i wear blue zircon along with ruby? Zircon is a semi precious gemstone and ruby is a premium gemstone. Doesn’t wear Ruby gemstone with Diamonds and Blue sapphire. Can I wear yellow sapphire and red coral ring together? yes you can wear yellow sapphire and red coral ring together. Please consult with astrologer first if you are wearing stone for astrological benefits. As stone can also provide negative effects. My DOB – 18/02/1975 @ 11:37 a.m. in new delhi, india. I would want to that combination of (emarald, ruby & amethyst) would be beneficial. If not then which stone/s and their proportion in carat. Take the gem recommendation services provided by the third party astrologers and its paid service. If you want the gem recommendation services then contact at info@9gem.com. I wear citrine(sunela) and green onyx .. Is this good combination or not? Pls give ur valuable suggestion. If you are wearing for fashion then its ok…otherwise for astrology…please take help from astrologer. My name is Supriya. Date of birth 13/6/1985, birth place: Ahmedabad, birth time: 8:52 pm and my husband name is atul his dob: 18/5/1985, birth place : Ahmedabad and birth time is 12.45 pm so which stones are suitable for both of us?? We are Gemologists and will not be able to help you in astrology questions. 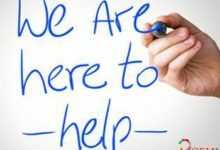 Please take help from astrologer for gem suggestions as these services are provided by third party astrologers and are paid. Let me know if you want gem recommendation services from our astrologers. Myself amitava das. Date of birth 04-01-1981, time 04:10am,birth place-Kolkata. Please what about collecting non astrological crystals and hiding them in your pocket? Crystals such as citrine. Tiger eyes. He’s so nite. Garnet. Aventurine. Amethyst. Lodestone. Hematite. Rose quartz. How compatible are they. That precautions are for astrological purpose only.